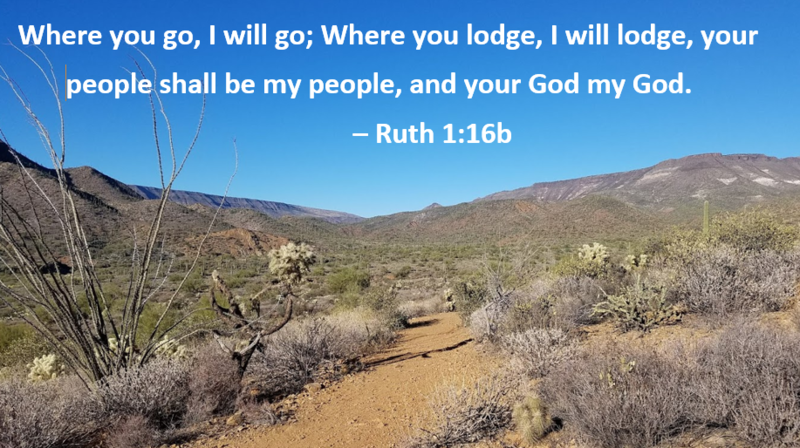 Ruth and Naomi show us what it is to live as a family in faith, placing that relationship above the traditional distinctions of race and clan. Who do we stand with as our family in faith? In a time of tragedy and uncertainty, Ruth and her mother-in-law Naomi forge a loving relationship, and through faith, perseverance, and kindness they settle together and find a new beginning. Who would you stand with during hard times? Who would stay with you? Have you ever had to begin again after your plans fell apart? Can you see God’s presence in the kindness of others? BLESS: May God give you companions on your life’s journey!